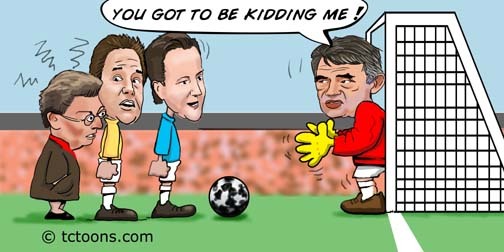 General Election world cup penalty shoot out cartoon. It's all Gordon Brown needs before a general election. Gordon Brown defends his goal against David Cameron, Nick Clegg and Gillian Duffy…..just what he needs before a general election.